In the beginning we practise with a desire of some kind in mind; we practise on and on, but we don’t attain our desire. But if we continue to practise anyway, we reach a point where we’re practising without ideas of some kind of return; we just practise in order to let go. This is something we must see for ourselves; it’s very deep. Maybe we practise because we want to go to nibbana, but you won’t get to nibbana! It’s natural to want peace, but it’s not really correct. We must practise without wanting anything at all. If we don’t want anything at all, what will we get? We don’t get anything! The point is, whatever you get is a cause for suffering, so we practise ‘not getting anything’. Just this is called ‘making the mind empty’. It is empty, but there is still a ‘doing’. This emptiness is something people don’t usually understand. Only those who reach it see the real value of it. It’s not the emptiness of not having anything; it’s emptiness within the things that are here. Like this torch: we should see this torch as empty; it isn’t the emptiness where we can’t see anything, it isn’t like that. People who understand like that have got it all wrong. You must understand emptiness within the things that are here. Those who are still practising because they have some gaining idea are like the Brahmin making a sacrifice to fulfil some wish. Nibbana is the final liberation from all suffering, the goal of Buddhist practice, but when I ask those people who come to see me to be sprinkled with holy water, ‘Why do you want this holy water?’ They say, ‘We want to live happily and comfortably and not get sick.’ But they will never transcend suffering that way. The worldly way is to do things for a reason, to get some return, but in Buddhism we do things without the idea of gaining anything. The worldly way is to understand things in terms of cause and effect, but the Buddha teaches us to go above and beyond cause and effect. His wisdom was to go above cause, beyond effect; to go above birth and beyond death; to go above happiness and beyond suffering. 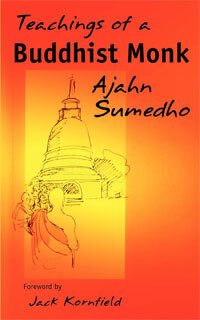 Click here to read more teachings form Ajahn Chah. I am so grateful a dear friend introduced me to these readings and this site. 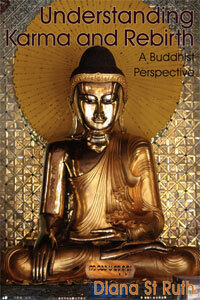 I find I am understanding more about living in a buddhist way, which for me now is most helpful. Thank you. 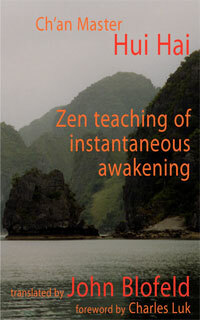 Practicing the dhamma (dharma) without expectation is the way of the Buddha. Doing something for its own sake as opposed to hoping for a reward is a transcendent experience. This post by Ajahn Chah explains it so well. 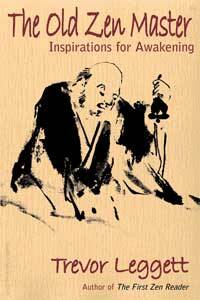 So nice to read Ajahn Chah’s understanding of going beyond cause and effect. So beautifully clear.